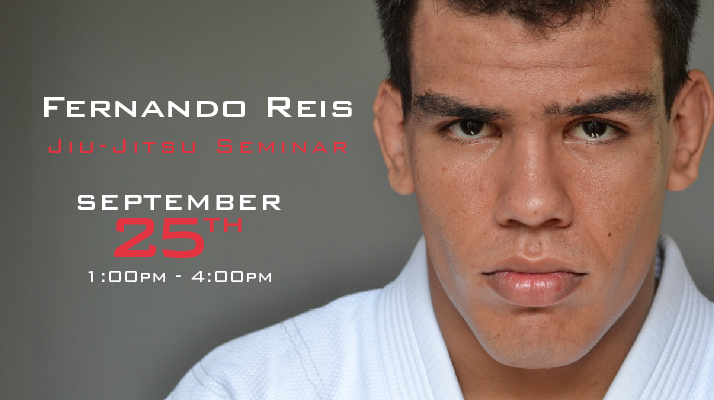 Ground Control Columbia will be hosting, Alliance Black Belt, Fernando Reis for a Brazilian Jiu Jitsu seminar on September 25th, 2016. Fernando is a 2x World Champion, 7x Brazilian Nationals Champion, European Champion, as well as South American Champion. **Pre-pay now and reserve your spot before prices go up! To reserve your spot, you can speak with any of the front desk associates at the Gym or contact us at (410)992-4662 or email info@groundcontrolusa.com.